Due to his absences in class, Kaigi Kagoshima only has a week to complete his school project with a partner from his class. Unfortunately, all of his classmates already had their respective partners, except for one guy. The only problem is that it is Keiji Tajima, one of the most avoided classmates in school due his perverted habits that earned him the name Beast Maniac. Will Kaigi and Keiji be able to study together to complete their school project, or will they be learning something else? 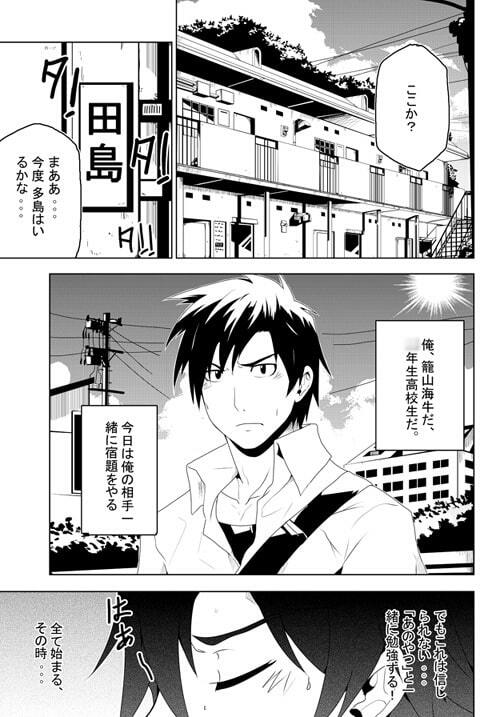 32 pages manga with Bonus Sequential CG. This product contains both Japanese and English version.